Saturday we drove up to Thirsk, aka “Darrowby”, the real-life home of James Herriot. It was a grey, wet day, but we hoped for a break in the rain. We arrived in time to catch the Saturday market, so we bought some vegetables and got soaking wet. After dropping our produce back at the car, we headed to the actual veterinary surgery where James Herriot (real name Alf Wight) practiced. It is now a museum devoted to the author’s life and the history of veterinary medicine. 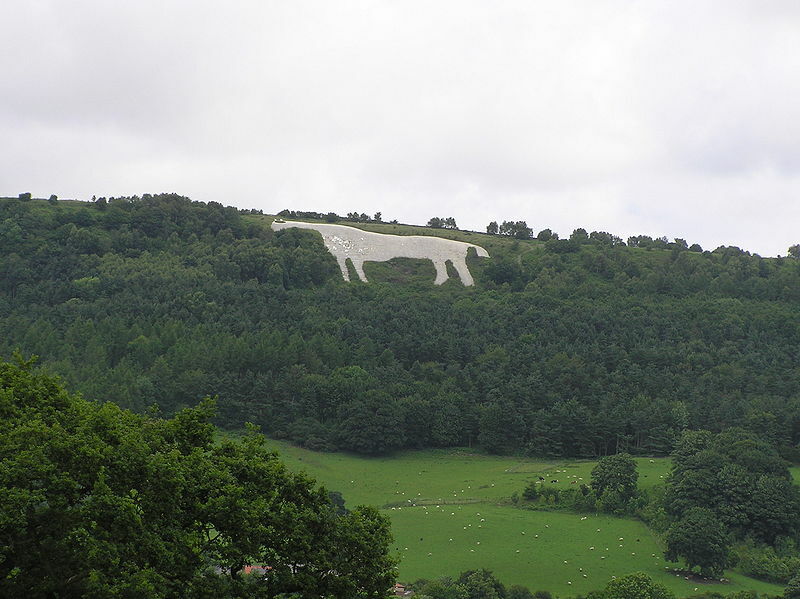 On the way home we swung by the Kilburn White Horse, a hill figure that is, surprisingly enough, a white horse. This is how it actually looked. It needs to be rechalked after our snowy winter. Sunday the weather was much nicer, so we took advantage of it by going on a walk near Swinsty Reservoir. We accidentally did the walk backwards, but it was still good.